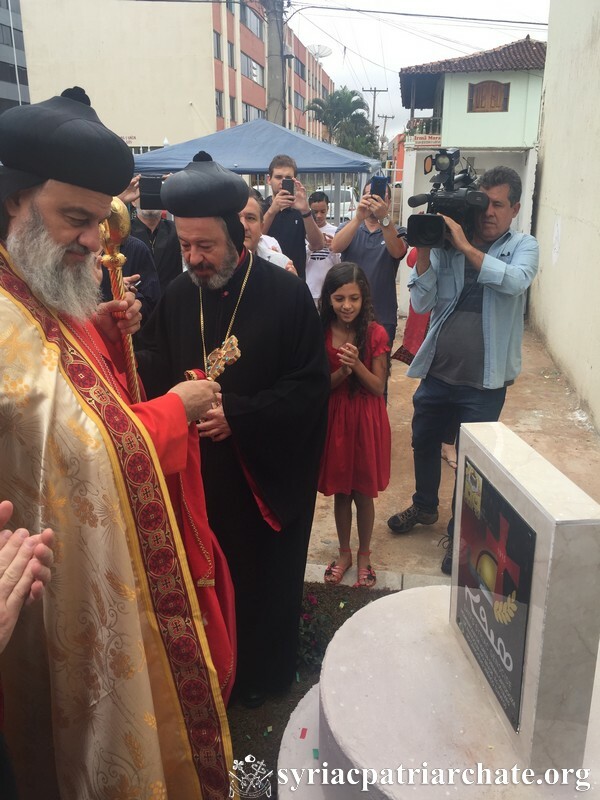 His Holiness Patriarch Mor Ignatius Aphrem II inaugurated a Sayfo Monument at the Virgin Mary Church in Taguatinga. Their Eminences Mor Titus Boulos Touza, Syriac Orthodox Apostolic Nuncio in Brazil, Mor Selwanos Boutros Al-Nehmeh, Archbishop of Homs, Hama and Environs, Mor Chrysostomos Youhanna Ghassaly, Patriarchal Vicar in Argentina, Bishop Mor Faustino Jose Filio, were also present at the inauguration. His Holiness prayed the teshmeshto of the martyrs in remembrance of the martyrs of the Syriac Genocide Sayfo. 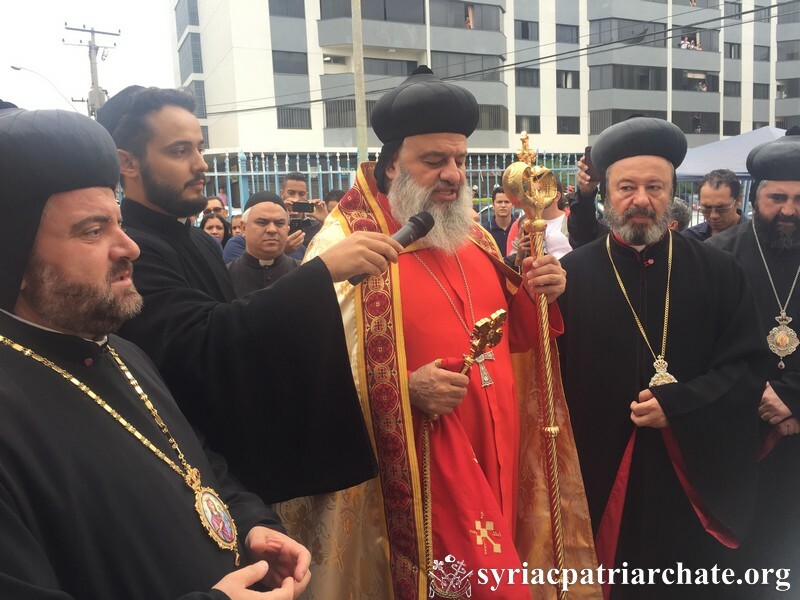 This entry was posted in Featured News, News and tagged Bishop Mor Faustino Jose Filio, Mor Chrysostomos Youhanna Ghassaly, Patriarchal Vicar, Sayfo Monument, Syriac Genocide Sayfo by Orthodoxy Cognate PAGE. Bookmark the permalink.